The Yellow Birds by Kevin Powers (Little, Brown, September 11) A debut novel that is one of the big "buzz" books among early readers and booksellers, it's a brilliant, elegiac account of two young men in the Iraq war--intense, poetic, tragic. Wanted Man by Lee Child (Delacorte Press, September 11) Do you even care about the plot? It's a new Jack Reacher! "All Reacher wanted was a ride to Virginia. All he did was stick out his thumb. But he soon discovers he has hitched more than a ride." The Cutting Season by Attica Locke (Harper, September 18) In 2009 Attica Locke dazzled with her debut novel, Black Water Rising; now she does it again with a mystery set on a present-day plantation in the South. A dead girl leads to politics, race, family and, of course, secrets. This is Dennis Lehane's first pick for his new imprint at HarperCollins. The Ruins of Lace by Iris Anthony (Sourcebooks Landmark, October 1) In the 1600s, the French had a passion for Flemish bobbin lace. The problem: in 1636, King Louis XIII prohibited making, buying and wearing lace. Anthony writes about the women making lace in Flemish convents, slowly going blind, the lace smugglers and the powerful buyers. Intricately woven and fascinating historical fiction. The Round House by Louise Erdrich (Harper, October 2) Someone whose judgment I trust said, "If possible, Erdrich is getting better." He was talking about this tale of a boy "on the cusp of manhood" who seeks justice and understanding in the wake of a terrible crime (a brutal attack on his mother) that upends and forever transforms his family. For all your heavy reading needs, Dornob recommended a "concrete table with built-in book storage," calling it "as much an artistic statement about permanence and change as it is an actual piece of functional furniture." Bookish interior design tip of the day: Apartment Therapy prescribed "10 metal and wood bookshelves for a warm industrial look." "The Great Gatsby facts--in pictures" were featured by the Guardian. "Nothing is serious, but I am throwing up in my hat." John Cheever was just one of the examples as the Paris Review's imagined "drunk texts from famous authors." This year marks 70 years since the publication of The Screwtape Letters, an epistolary novel by C.S. Lewis, which features witty yet diabolical advice from Screwtape, a world-wise devil, to his inexperienced nephew, Wormwood, a demon-in-training, in his quest to secure the damnation of an ordinary man. Richard Platt pays homage to the Lewis classic in his novel As One Devil to Another: A Fiendish Correspondence in the tradition of C.S. Lewis's The Screwtape Letters. Platt's underworldly grandmaster, Slashreap, mentors his nephew-protege Scardagger, a cadet fresh out of Temptation University. His tone is sharper than Screwtape's as he expounds upon contemporary demonic virtues and new tricks and strategies to corrupt 21st-century souls. Their aim is to steer one woman--an academic at an old and prestigious university--away from the tenets of heaven and into the clutches of hell. The history of literary religious satire is long, perhaps originating with the medieval pilgrimage undertaken in The Canterbury Tales by Geoffrey Chaucer. Jonathan Swift parodied the rise of the Protestant Church via the lives of three brothers in A Tale of a Tub. Murderous criminals and brilliant policemen populate G.K. Chesterton's The Man Who Was Thursday, an allegorical Christian thriller infused with satiric elements. Mark Twain mocked the afterlife in Captain Stormfield's Visit to Heaven. Religious zealots, morality and ethics color all of Flannery O'Connor's darkly comic fiction. In Job: A Comedy of Justice, science fiction writer Robert A. Heinlein skewered American evangelical Christianity. And in Lamb: The Gospel According to Biff, Christ's Childhood Pal by humorist Christopher Moore, the 33 enigmatic years of Jesus Christ's life were revealed with clever sarcasm. The Last Testament: A Memoir by God with David Javerbaum, is a pseudo-Bible where the Master of the Universe explains his zany system of logic, covering everything from sports, celebrities and social media to marriage, homosexuality and abortion. Rufus, a lovable talking Schnauzer who watches his weight, communicates the wisdom of the Divine to a widow who blames God for her grief in The Dog That Talked to God by Jim Kraus. 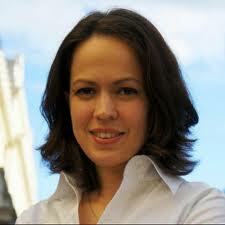 As a London correspondent, Parmy Olson used to cover a range of European business and financial stories for Forbes. Two years ago, though, she starting filing more stories about technology, "in particular disruptive people in the field of tech," and what started as a series of blog posts and magazine articles eventually became We Are Anonymous: Inside the Hacker World of LulzSec, Anonymous, and the Global Cyber Insurgency (Little, Brown). Olson probes the volatile mixture of social activism and digital pranking that led to the supernova-like fame of LulzSec, a small group of hackers split off from the larger, more fractious Anonymous movement, who for two months in early 2011 became the most prominent Internet tricksters on the planet--recognized within their own subculture, to be sure, but also drawing the attention of the mainstream media (and, of course, law enforcement authorities). What initially drew you to Anonymous and LulzSec as a story? I've always been fascinated by subcultures and secret communities and was intrigued when I first read news reports that painted Anonymous as a mysterious "group of hackers" that had come out of nowhere to disrupt the websites of major companies. There weren't many reports that featured interviews with people within this "group," so partly to satisfy my own curiosity I started reaching out to supporters of Anonymous by e-mail and on IRC [Internet Relay Chat]. A few good sources initially reached out to me too. What fascinated me further was the culture on which the community was founded--one of messing with people, pranks, disruption, lawlessness, unhindered creativity, a loose set of rules and etiquette and a collective identity. I thought it would be interesting to tell the story of that movement through the eyes of some of its core participants, interweaving the personal stories with that of its wider evolution. How did you cultivate so many of the key figures of LulzSec as sources? It always starts with one or two good sources, and then you ask them to introduce you to someone else. This is sort of what happened with me getting to know people in Anonymous--I worked through the network and asked to be introduced to people. 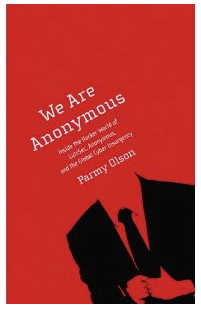 The other point is that I've always tried to use an even-handed, objective approach when writing about Anonymous for Forbes, and did the same for the book--trying not to take sides or use sensationalist language, but aiming to lay the facts bare. Often truth is stranger than fiction and there's no need for sensationalism--just good pace and story telling. While I was writing the book, a number of people in Anonymous told me that they appreciated this approach. What surprised you the most as this story unfolded? There were a number of surprises: finding out that a member of Julian Assange's inner circle had reached out to try to collaborate with the Anonymous splinter group LulzSec, allegedly on behalf of Assange himself; that Anonymous was so much more disorganized than I thought and so good at manipulating the public's perceptions of it. I think what startled me most, though, was when I met people associated with Anonymous in person. I think about my opposite in the fictional world. He's a guy who says he's always wanted a family of his own, a partner to love, children to raise. But he's pushing 40 and is still solo. Forty isn't the end of the line by any means, but it's well north of the average age for first marriages and first children. His name is Jake. He is successful and respected in corporate business. His personal life is a different story. He's been involved with many women. But this one lived in San Francisco and that one didn't click and the next one was married. He's felt initial stirrings he thought might be love, only to have them dissipate. He picked the wrong women or the wrong women picked him, leaving him essentially alone in the world, a difficult concept to grasp on a planet of seven billion people. And Jake is wondering: Why hasn't he met the right woman yet? And a darker, more fundamental question: Was there something inherently wrong with him, a flaw in his character that made him crave a permanent and loving relationship but unable to recognize or nourish one? Jake is one of the characters in Clean Break. He's not the main character, but he's the one who impacts the lives of the others, by witnessing and diffusing a violent argument between a married couple, Celeste and Adam, and then befriending Celeste in her quest to escape her marriage. But is he trapping himself in yet another situation of wrong woman, wrong place, wrong time? With the heat rising, it's time for "Summer Shorts." Flavorwire suggested "10 novellas perfect for literary lounging." To celebrate the birthday of author and illustrator Chris Van Allsburg this week, Flavorwire offered "10 important life lessons we learned from children's books." Jasper Fforde chose his top 10 bedtime stories for the Guardian, observing: "The golden age of bedtime stories ranges from almost nought to about eight, when the act of reading is moved from parent to child." Noting that the "love of television is always tragic," io9 recommended a selection of "awesome books to replace your favorite cancelled TV shows." On the surface, the Copelands might appear to be a typical family in a small, Midwestern town. In the hands of Elizabeth Crane, however, their world is skewed by the absurdity and cruelty of life. The mother is numb from the suicide of her secret lover; her unaware husband, a walking Wikipedia, fears he might be losing his memory. Their daughter, an angst-ridden 19-year-old, longs for a "career" on reality TV, while their nine-year-old son is convinced he must choose between his love of crossword puzzles and girls. Add a grandfather suffering the tangled forgetfulness of Parkinson's disease and his mother, a 98-year-old matriarch whose sharp, keen mind enables her still to dream big, and what emerges in We Only Know So Much is an eccentric cast of characters whose lives are rife with conflict. Discover: Elizabeth Crane's first novel introduces us to a contemporary American family, unwinding their crisis narratives at a descriptive, unhurried pace. The Red House introduces us to Angela and Richard, estranged siblings who reunite at the funeral of their mother; perfunctory greetings are exchanged, and that seems to be that. The following week, however, Richard invites Angela and her husband, Dominic, and their three children--Alex (17), Daisy (16) and Benjy (8)--to a big house in Wales for a week. Despite misgivings, they agree, since they can't afford a vacation on their own. Richard is a wealthy physician who has recently acquired a new wife, Louisa, and her wretched teenage daughter, Melissa. The stage is set for all the long-held resentments between and among the parties to come to the fore. In the hands of Haddon (The Curious Incident of the Dog in the Night-Time and A Spot of Bother), we learn all about these eight people in a way that renders most of them sympathetic. We grieve with Angela, who has been hallucinating about her first child, stillborn 18 years ago. Dominic is preoccupied, wondering whether to break up with his girlfriend. Melissa and Daisy are up to some extraordinary things that come to a head in Wales. Young Benjy is full of monsters and superheroes and worried about everything, while Alex lusts for Melissa. Discover: The neutral turf of a big house near the Welsh border brings together eight disparate members of an extended and blended family, with all their secrets and longings. Although sisters June and Isabel grew up with their cousin Kat, they've always struggled to relate to her and to each other. When Kat's mother calls them back to her Maine inn for a shocking announcement, the three young women find themselves sharing a room for the first time in years and spending Friday nights together, watching Meryl Streep movies as each tries to sort out her own baggage. Stepford wife Isabel has discovered her husband is having an affair, even as she longs for children. June has begun searching for the father of her seven-year-old son, whom he has never met. And Kat is torn between running her mother's inn and marrying her lifelong best friend, or stepping outside her small, safe life to pursue bigger dreams. March's love for Meryl Streep shines through in her characters, all of whom see their lives reflected in Streep's movies, from Out of Africa to Postcards from the Edge to the especially apt It's Complicated. Over popcorn, they find themselves confiding in one another, opening up about family secrets long buried and sharing the convoluted truths of their lives. A few plot elements are predictable, but others lead to unexpected places, and readers will enjoy following the characters' intertwined journeys. Discover: A charming debut novel about family, new beginnings and navigating life changes with some help from Meryl Streep's movies. 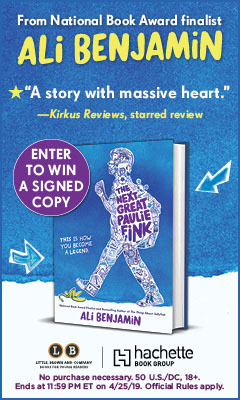 In the mid-1980s, 14-year-old Junie's beloved uncle Finn is the latest casualty of the AIDS epidemic. Finn, a prominent artist, introduced Junie to classical music and spent long Sundays taking her for outings and sharing secrets with her. With Finn gone, Junie soon learns her uncle also kept secrets from her, like his boyfriend, Toby, whom Junie's family blames for Finn's disease. Bereft and lonely, Junie receives a message from Toby suggesting they meet--she's the only person who misses Finn as much as he does. At first, Junie is suspicious of the man her mother claims as good as murdered her uncle, not to mention jealous of his bond with Finn. However, she has no one to confide in--not her busy parents, and certainly not her older sister Greta, who has begun subtly vandalizing Finn's final painting, a portrait of the sisters entitled Tell the Wolves I'm Home. The two strike up a friendship as heartwarming and poignant as it is unconventional and, at times, awkward. Rather than the monster she imagined, Junie finds Toby a gentle, hapless fellow, lost without Finn. Junie begins to unlock the missing pieces of her uncle's life, from his love for Toby to the root of the rift between him and Junie's mother. However, the friendship grows bittersweet when Junie realizes that Toby is also dying of AIDS. Discover: A fresh yet nostalgic debut novel about a 1980s teen who loses a beloved uncle to AIDS and finds herself by befriending his grieving boyfriend. Matthew and Jenae Batt discover that what follows the eventual cooling of newlywed bliss isn't promising. Their best friends are divorcing, leaving them worried that a trapdoor might open under their own marriage. Then Matt loses his dad and grandmother in quick succession and, as Jenae stands by him and his family, he realizes that he still deeply loves her. Determined to improve their lives, Matt suggests getting out of their less-than-desirable apartment and buying a home. In the Sugarhouse district of Salt Lake City, they find a dilapidated former crack house whose owner's attempts at renovation have done more harm than good. Hoping to make a renovator's nightmare into the house of their dreams, Matt and Jenae buy the house and hop on the DIY ride of their lives, an uproarious journey of amateur power-tool operation, stripping floors with the equivalent of stabilized napalm, and developing a man-crush on an "artisan concrete worker." Discover: Matt Batt looks back on his adventures in home renovation and dysfunctional family relations in a hilarious memoir. Rebecca Stott's Darwin and the Barnacle covered an eight-year period of Charles Darwin's life, during which he conducted research on a single, though unusual, species of barnacle found in Chile. That well-received book is the perfect precursor to Darwin's Ghosts: The Secret History of Evolution, a wonderfully written and thoroughly researched accounting of the men who influenced Darwin in his quest to define the concept of natural selection and the process of evolution. Interestingly, the first printing of On the Origin of Species by Natural Selection contained no acknowledgment of predecessors; Darwin eventually created (and subsequently modified) a list of those who influenced him for later editions of the book. Stott has expanded on this list to create a well-rounded and chronological survey of opinion regarding evolutionary thought. Discover: A wonderfully written exploration of the men who paved the way for Darwin's theory of evolution. Many parents who looked forward to an empty nest when their kids became adults are finding themselves in a different stage, one Sally Koslow experienced as a mother. She didn't just write Slouching Toward Adulthood; she lived it as well. Interviewing more than a hundred "adultescents" and their families, Koslow reveals how baby boomers' empty nests are re-populating, becoming way-stations for adult children boomeranging back home to gain financial stability and job-hunt--or simply because they have nowhere else to go. Are these 20-and 30-somethings victims of the economy or spoiled? Did helicopter parents raise kids with a heightened sense of entitlement? And how do families cope with the progeny living with the 'rents while following adult social norms (but often strewing wet towels and dirty dishes like, well, kids)? Koslow balances candid stories shared by parents and their dependents with statistics and analysis from dozens of experts, softening hard facts with humor. In one passage, she cites bad news from a Charles Schwab study, the Bureau of Labor Statistics and FinAid.org, before concluding that "plenty of adultescents have little choice but to seek bailouts from the Bank of Mom and Dad." Discover: Sally Koslow's thoroughly researched overview of young adults "returning to the nest" explains how families can cope--or at least understand the situation. Flash sales. Online coupon codes. Outlet malls stuffed with discounted merchandise. These are the hallmarks of the 21st-century American fashion landscape--and, as Elizabeth Cline found, falling for them can fill consumers' closets to bursting with cheap, ill-fitting, foreign-made clothing. Dissatisfied with her own overstuffed closet of shoddy, generically trendy pieces, Cline wondered: Is there a more stylish, thoughtful and socially responsible way to dress? Why has the U.S. garment industry all but disappeared? And what is the cost--not only monetary but human and environmental--of our voracious appetite for "fast fashion?" In Overdressed, Cline researches the history of fashion (both couture and mass-market) and traces the decline of department stores and home sewing skills. She visits factories in China, the Dominican Republic and New York's Garment District, learning about the industry's often deplorable working conditions and the difficulty of staying current and maintaining quality without sacrificing the bottom line. Discover: One woman's transformation from fast-fashion bargain hunter into a stylish, eco-conscious and thoughtful shopper. Anthony Heilbut (The Gospel Sound) is a Grammy-winning record producer famous for his work with gospel artists like Mahalia Jackson and Marion Williams. The eight essays collected in The Fan Who Knew Too Much reveal Heilbut's polymath talents, as he meditates in surprising ways on a wide range of topics. The leadoff essay, "The Children and Their Secret Closet," is a fascinating, revelatory history of the significant role of gays in the gospel church. To Heilbut, they are the "unacknowledged arbiters of the culture," from early key figures such as Little Ax and Norsalus McKissick, Mahalia Jackson (who preferred the company of gay men because the other kind only brought her "grief"), James Cleveland, the "king of gospel music" who would ultimately die of AIDS, and James Baldwin, the "greatest writer to come out of the gospel church." Heilbut follows with an insightful, penetrating profile of Aretha Franklin, successfully arguing that the history of black America "could be divided into pre- and post Aretha." Another essay updates the role of emigrés from Hitler's Germany in the U.S. (the subject of Heilbut's 1983 book, Exiles in Paradise) while "The Emperor of Ambivalence" praises the writings of Joseph Roth. From there, Heilbut moves on to the "fascinating phenomenon" of the soap opera, focusing on Irna Phillips, an unwed mother who "helped domesticate Freud for the masses" as the creator of As the World Turns and The Guiding Light. Discover: A wise and learned essayist moves seamlessly (and stylishly) from music to literature and other historical reflections on popular culture. 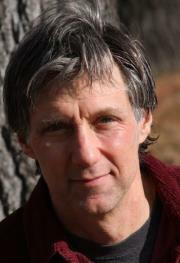 In We Learn Nothing, political cartoonist and New York Times essayist Tim Kreider deploys his wicked satirical genius with introspective wisecrackings that make us laugh, cry and suffer in humiliating discomfort as he maintains that, even when given the chance to make life-changing decisions, we revert to old habits. For example, a stabbing Kreider experiences as life-altering becomes, after a month or two, just another page in the book of life--out of sight, out of mind. He also muses on Lisa Nowak, the NASA astronaut who drove 900 miles--allegedly wearing adult diapers--to kidnap her lover's new girlfriend, and reminds us that "we've all worn the diaper" of unrequited love and ensuing heartbreak. Youthful bar-hopping escapades that wear thin in middle age, obsessive attachments to long-lost family and a con-artist uncle and the easy "defriending" of online friends all turn into moments of critical self-examination. "Although we may unconsciously experience [anger] as upsetting," Krieder writes in another essay, "somatically it is a lot like the initial rush of an opiate, a tingling warmth you feel on the insides of your elbows and wrists." Saving emotional tear-jerkers for last, "Chutes and Ladders" becomes Kreider's most poignant admission of unconditional love and friendship, and an assertion of the possibility of thoughtful redemption. Discover: Tim Kreider's snarky observations on the whims and wiles of human nature and a mercilessly honest discussion of why we sometimes learn nothing from our experiences. If you loved the Oscar-winning film that goes by the same title, you will take to heart the book on which it is based. William Joyce exploits each medium to the fullest. Morris Lessmore's life "was a book of his own writing, one orderly page after another." This serene opening scene shatters when a twister carries Morris away and sets him down in a black-and-white terrain. A woman appears in vibrant color in the sky, pulled by "a festive squadron of flying books." She sends down a volume with Humpty Dumpty featured in its pages, and the fellow leads Morris to a large building where light shines through the windows and shelves of books flutter their pages, "as if each book were asking to be opened." In Joyce's artwork, the books come to life as a full cast of characters. After Morris repairs a damaged book, he reads it to revive it. He runs across the tops of capital letters and dangles from the hook of a J. "All stories matter," he concludes. As Morris distributes books to his queued-up neighbors, they turn from black-and-white sketches to full-color portraits. In the most moving scene, the books surround the now white-haired man: "Morris Lessmore became stooped and crinkly. But the books never changed. Their stories stayed the same," and they care for him as he has cared for them. Discover: The love story of Morris Lessmore and his books, which inspired the Oscar-winning animated short of the same name. Alternating chapters in prose and graphic novel scenes tell a haunting tale of two sisters who allow a boy to come between them. Fifteen-year-old Tessa, her best friend Celine and Tessa's 13-year-old sister, Lulu, go to the summer carnival, where they run into football player Charlie Evans and his buddies. Tessa likes Charlie, and Celine likes boys in general, so the girls join the guys. When they pair off to enter the curiosity sideshow tent, however, Charlie winds up with Lulu instead of Tessa, and Tessa gets thrown together with Jasper Kleine. Tessa finds herself strangely attracted to Jasper, but what would people think if they knew she felt drawn to the class "weirdo?" Lulu and Charlie emerge from the tent hand in hand, which ignites Tessa's anger. Lulu and Celine bond over their boy talk, and Tessa withdraws, stealing away to meet Jasper in the woods. Tragedy strikes, and Tessa believes that her feelings of envy somehow triggered the events. Castellucci's (Boy Proof) prose brims with wise observations about the all-consuming feelings of adolescence. Tessa loves her sister and wants to be happy for her, but her jealous feelings leak out in toxic ways. Powell's (Swallow Me Whole) graphic novel chapters cast Tessa as Medusa, who turns her onlookers to stone. Teens will see that his scenes of the mythological characters take on a chilling truth in light of the tragedy at the story's core. Discover: A thought-provoking page-turner that explores what happens when two sisters vie for the same guy. Those of us who grew up tormented by siblings dreamt that everything would be perfect if they'd just disappear one day. Which is just what happens to 13-year-old Egg. Ignored by his father and harassed by both his sister and brother, Egg watches all three fly off in a hot air balloon. He misses them, but finds his life so much improved on beautiful Sunrise Island (where the family takes their twice-yearly vacations) that he doesn't mind--until someone tries to kick him off a cliff. From there, this highly enjoyable book picks up speed and doesn't stop until the last page. Egg grew up across the bay on Deadweather Island, populated by pirates. But nothing could have prepared him for the world he suddenly faces, full of ancient legends and double-crossing businessmen. As he tries to figure out who wants his family dead and why, he finds that the only people he can trust are a one-armed cabin boy (who tried to kill him when they first met) and a girl he has a crush on (and whose father wants Egg dead). Discover: The clever, funny kickoff to a swashbuckling new series. The Summer Cottage is inspired by childhood summers with my grandparents at their old waterfront cabin. Though short on luxuries (no indoor bathroom! ), it was long on memories. My grandparents had one cottage rule—Be happy!—and taught me even the tiniest homes could feel like mansions if only filled with love. The Summer Cottage celebrates family memories and heirlooms like my previous novels The Charm Bracelet and The Recipe Box, reminding us playing by adult rules isn’t always the best path to happiness. Like a cottage, this novel should be shared among generations and help you rediscover the magic of every sunset! I’m giving away five books! Email gary@violashipman.com to win!